For additional information about this book, visit the website www.lessonsfrommylunchbox.com. 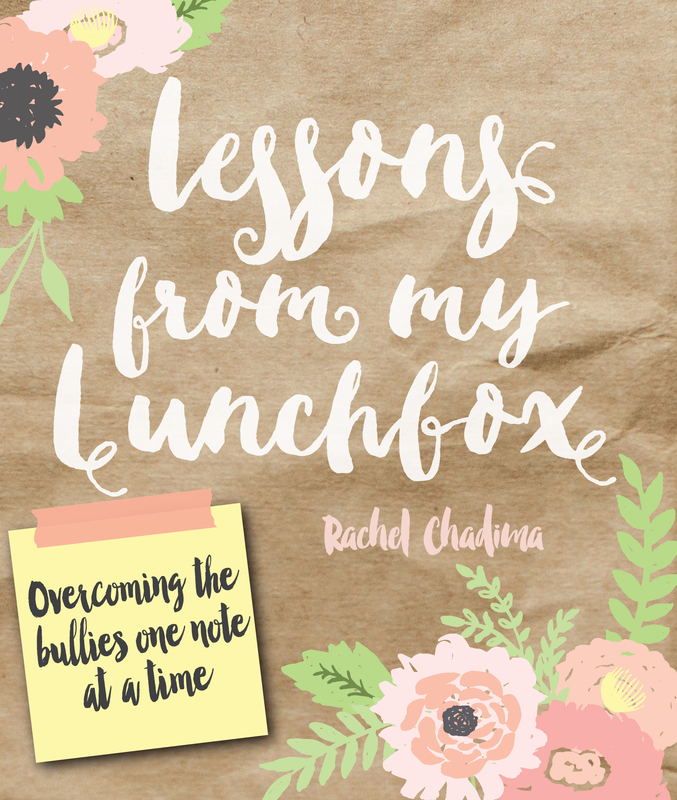 Lessons from My Lunchbox: Overcoming the Bullies One Note at a Time tells the story of how author Rachel Chadima received the encouragement and tools to take the road less traveled and thrive despite the bullies. Her parents delivered that encouragement in a very special way - on handwritten Post-it® notes inside of her lunchbox. Now grown and on her own, Rachel still holds these Post-it® notes dear to her heart - and shares 86 of them here with you that you can place in your own child’s lunchbox. Lessons from My Lunchbox is a tool for moms and caregivers to help their children overcome bullying. Filled with pages and pages of my mom's original lunchbox notes, Lessons from My Lunchbox shares my story about overcoming the brats and the bullies one little lunchbox note at a time. While all the girls were eating up the latest lunch table gossip, I was eating up my mom's words of wisdom, the stuff with real value. Filled with scripture and confidence builders, her notes became my roadmap for navigating through the bullystorms, instilled values in me, and created a foundation for my life! Moms everywhere need a tool to encourage their children and help them navigate the growing up years. My story will inspire them, and the actual notes throughout and cut-out notes in the back will give them a concrete action to take against bullying. In turn, teens and children will have the confidence to stand their ground, like I did! There is power in a handwritten note! Rachel Chadima is passionate about inspiring others to be their very best, so when the long-ignored bullying epidemic had finally been exposed, she knew she wanted to help. The lasting impact of her mom’s lunchbox notes inspired Rachel to share her story about overcoming the bullies, one note at a time, in hopes of uplifting and encouraging others. Rachel graduated from the University of Saint Thomas with her bachelor of arts degree in Communications and Journalism (Public Relations), and a minor in Family Studies. Rachel owns Mainstream Boutique in Hudson, WI, and has a love for fashion, travel, fitness, her Christian faith, and spending time with her family and friends.